Description Warren's Physical Geography for advance classes in Acedemies, Seminaries, Normal and High School. 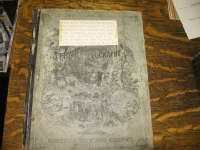 This book was printed in 1873. It has Will Curtis's name on the fly leaf. Gift of Hazel Curtis.